Italian firm Gimoto's new WAS+ one-piece suit exceeds the standard required for the whole garment to receive level 2 CE approval. Launched at this week's Cologne show, the suit starts at 1250 Euros (£1084) in standard colours and sizes (plus delivery and taxes, vat, etc). A made to measure service is available. 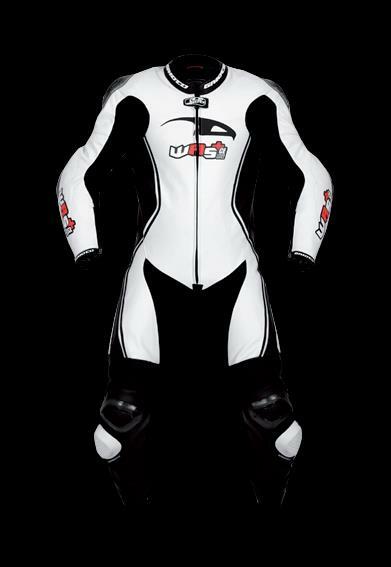 The suit is made from 1.2-1.3 mm cowhide, with stretch panels and an ergonomic one-piece race cut. There’s CE-approved armour at the shoulders, elbows, knees and hips, with additional memory foam protection on the legs and body. There are elasticated leather panels on the shoulders, back and knees, an inner liner with stretch panels, an aerodynamic hump and removable knee sliders. As with Round Seven at Three Sisters this weekends racing would miss the extremes of weather again.